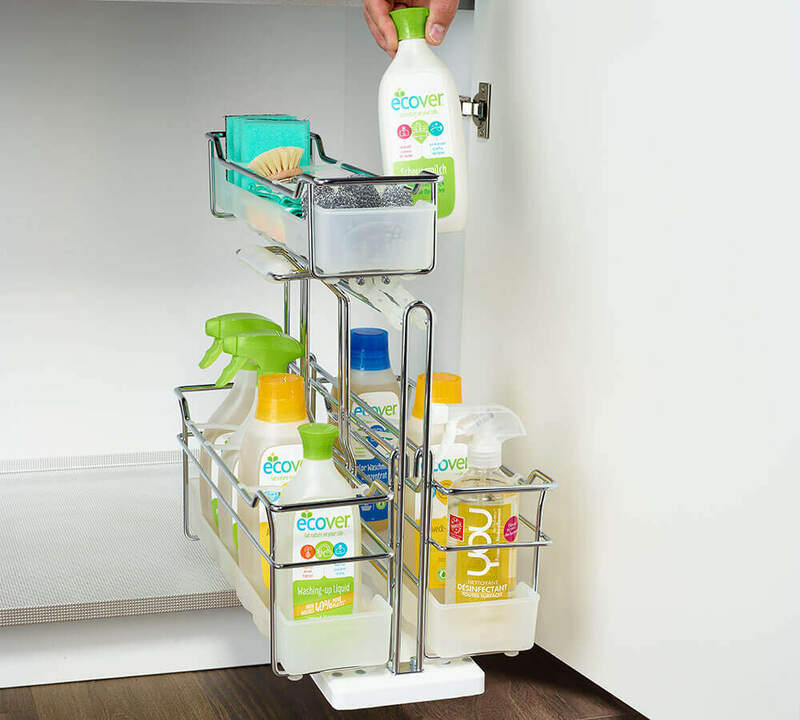 With the practical lift-out basket. 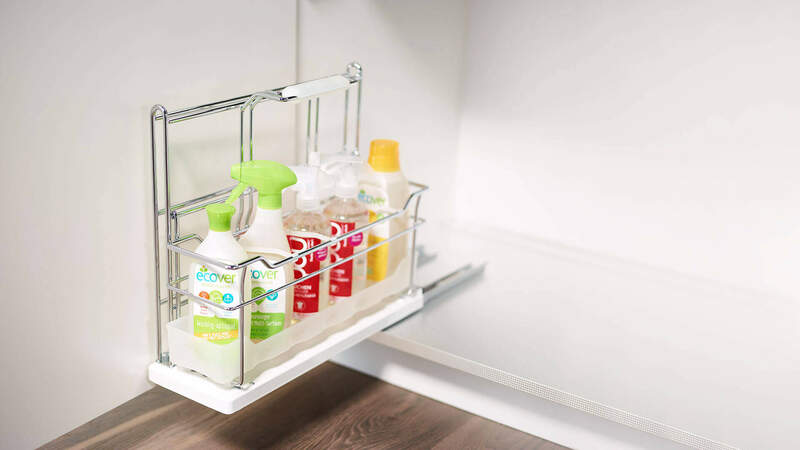 It comes in three sizes. 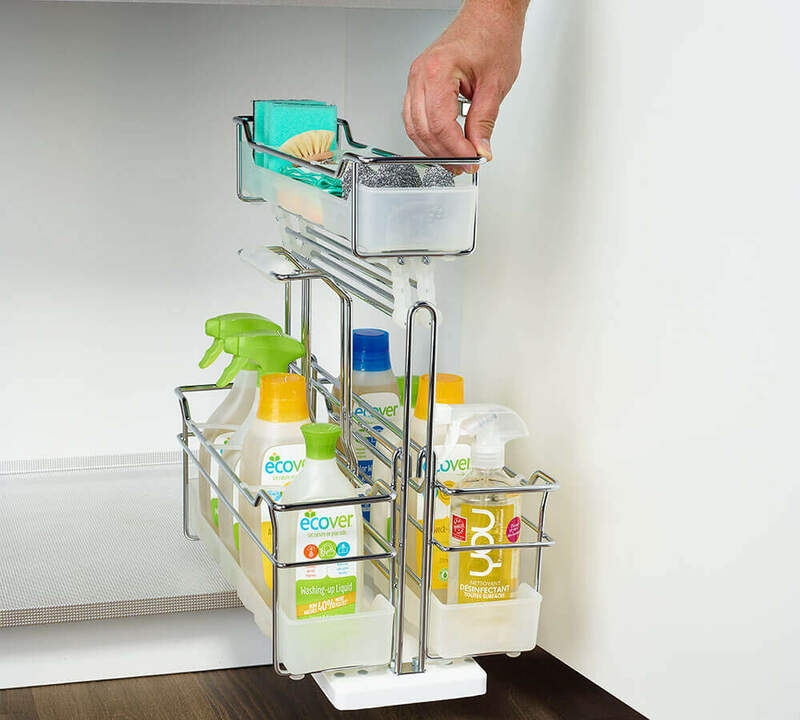 The removable plastic trays can go in the dishwasher. 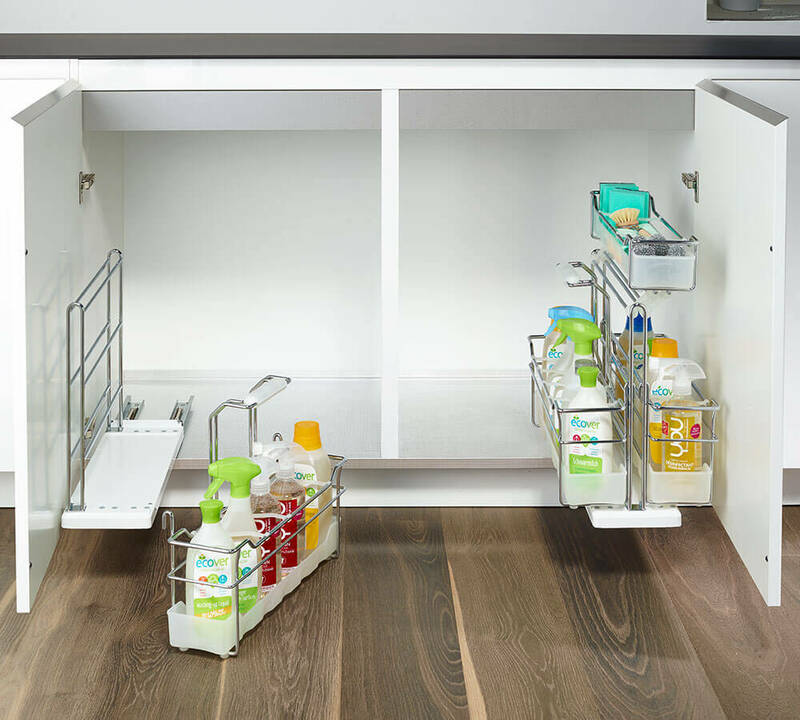 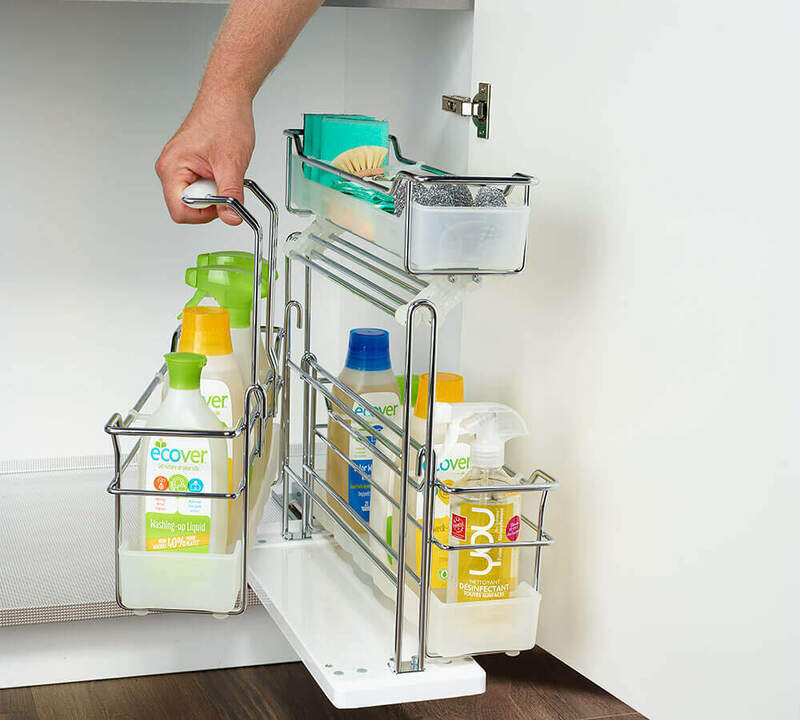 Safety first: this lockable pull-out keeps cleaning materials away from children!